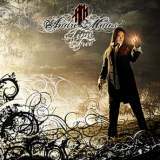 Former Angra and Shaaman singer Andre Matos presents us with his first real solo album with Time To Be Free. Teaming up with producers Roy Z and Sascha Paeth (whom he collaborated with on the Virgo project), Andre has delivered an album that boasts an amazing production and a much more dynamic and epic sound than anything we have heard from him in the past. Andre plays some piano on this album and the overall sound is rounded out with the amazing guitar work of Andre Herrandes and Hugo Mariutti. This new album has been available in Japan for some months now but it's finally being released to the rest of the world via SPV/Steamhammer. Angra has dabbled with orchestration in the past namely on albums like Angels Cry and Fireworks but Andre takes it to the next level here with this album. Many tracks feature layered orchestral sounds, rich dynamics and an overall "epic" feel that expands the soundscape of this album more into the realms of progressive power metal. The speedy power metal sounds of early Angra still make appearances with tracks like Letting Go as well as with many of the lead and guitar harmony breaks having a backing of speedy riffs to drive them along. Orchestral passages in some songs push the sound more into the Rhapsody (of Fire) realm with others like How Long, Looking Back and the killer album closer Endeavour being more in the vein of melodic power metal in the traditional Angra/ Edguy styles. The song arrangements also bring lots of dramatic flair to this album with many tempo and riff breaks and the lead guitar work being of the very highest quality. Face The End is a great power ballad like track with the use of piano, orchestration and heavy guitar for the chorus section to back Andre's soaring voice. He still has an amazing voice but I found his vocals on this album to be a little more aggressive at times and not always the "angelic" style of his work with Angra. The title track Time To Be Free is truly an album highlight that moves from quiet, piano flavored segments with strong vocals to galloping rhythms and a strong sense of drama; all topped off with stunning lead guitar work over numerous riff and tempo changes. A New Moonlight is a very different, interesting and "moody" track that is truly a standout and encompasses dreamy and ominous Pink Floyd like ambient sounds and haunting vocals in track that slowly builds in intensity and gets heavier with orchestral and Queen-like guitar "flavorings". Not only a showcase for the song writing abilities and production qualities, Andre lays down some of the best vocals on this whole album on this track. Endeavour finishes off the album and is a riff driven and speedy power metal track that once again features soaring vocals, orchestration and some really cool lead guitar/organ lead trade-offs. Overall, this is a very solid album and one that could be even better if it weren't for a couple of tracks that have vocal melodies and choruses that are not on par with the rest of the album. Musically, everything sounds awesome and Andre's voice still sounds amazing. While the neo-classical style of Angra guitarists Kiko Loureiro and Rafael Bittencourt is obviously missing, what is great about this album is that Andre has tried to come up with something fresh and new and not try to relive the early Angra years. Along with Roy Z and Sascha Paeth, they have come up with a solid new direction here and one that encompasses more drama, complexities, orchestration and emotion, yet doesn't completely shed Andre's power metal past. Presented here with a huge state of the art production, this new sound of Andre's has more of a Kamelot-like sound than anything else he's done before. Much more dramatic and epic than either Angra or Shaaman, I like this album more than the two Shaaman albums he did and even better than the last Angra album Aurora Consurgens. With both Sascha Paeth and Roy Z firmly in his corner, Andre has returned in a big way and fans can rejoice in the fact that with this team in place, the future looks very promising indeed.